This is the fun stuff-taking off, landing, and maneuvering the airplane with preceision and grace. Flight maneuvers are challenging, reqrding, essential for safe flying...they are the backbone of the practical exam or checkride with the examiner. Demonstration of proficiency in these is required before you pass the final test to earn your pilot certificate. Flight Maneuvers Virtual Test Prep covers each of the maneuvers in the FAA Practical Test Standards (PTS) for Private, Sport, Commercial, and CFI certification, supported with high-defininition air-to-air video, 3D and animated graphics, special effects, experienced flight instructors and pilots with real-world tips from the tarmac, airport and cockpit for focused and exciting learning. Each lesson defines the task, operation or maneuver with an objective; each is demonstrated airborne or on the surface, as applicable, with step-by-step analysis. The course follows the FAA recommended techniques and summarizes the FAA completion standards for each maneuver. 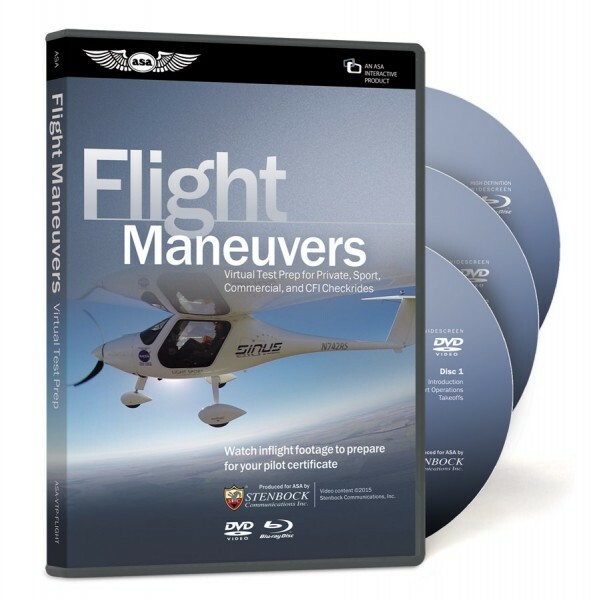 A comprehensive flight school review, Flight Maneuvers Virtual Test Prep takes the learning out of the cockpit so you can focus on your practice when you climb into the pilot seat.